Biscuit and the little girl are going trick-or-treating on his first Halloween. What kinds of silly surprises are in store for them? Pull back the flaps to find out! 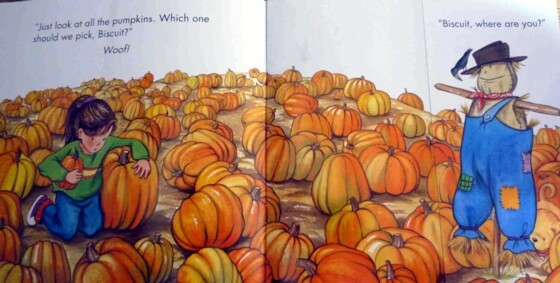 My 2 year old loves all the biscuit books! This is the newest addition to her collection, and it is a favorite already! 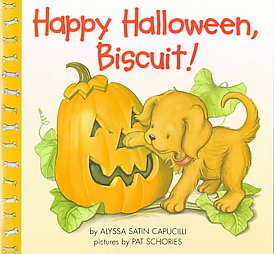 Alyssa Satin Capucilli is the author of several books for young children, including the ABA Pick of the Lists book Biscuit, Bathtime for Biscuit, Biscuit Finds a Friend and Biscuit's New Trick. Ms. Capucilli lives in Hastings-on-Hudson, NY.